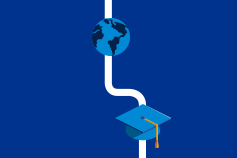 Careers for graduates: learn about Tax and how we advise on strategies and key projects. In Tax, we advise our clients on how to best execute business strategies, projects and transactions in a tax-appropriate manner. This can include the advising on the tax implications arising from large transactions such as private equity deals, real estate transactions and infrastructure deals. There are also some specialist areas with Tax, including the Delivery and Data Excellence (DDX) team. DDX provides tax compliance services to clients of all Australian offices. Tax compliance mainly involves considering tax legislation, preparing tax calculations and completing tax returns as appropriate. DDX has various teams within it including corporate tax, employment tax, research and development tax incentive and goods and services tax (GST). Tax Technology is another specialist service line within Tax that implements technology solutions to tax problems. This includes data analytics and developing new enabler technology platforms to service the firm and its clients. In Tax, you would typically work on three or four different clients or client groups each day. You may be working by yourself including researching and applying the tax legislation as appropriate, or working as part of a team seeking guidance from a manager, director or partner on more complex technical issues. You regularly meet with directors and partners to present findings, returns and reports on ATO or industry issues. You would have at least one client call or meeting every day. If you’re working on a cross-border transaction you may also be working with other firms within the KPMG network. You could begin your day on a call to the US and end it talking to South Africa. You might detailing tax implications of a proposed transaction, preparing a structuring pack, carrying out some research and reviewing a sale agreement. The first year is about learning the basics of tax and how the KPMG operates. You’ll be allocated a list of clients to help with preparing advice, tax calculations, tax returns and reports on specific transactions. As you learn more about tax and become more confident, you’ll be able to take more ownership of driving the client engagement and bringing issues to the attention of managers, directors and partners to resolve together. To help you with this, the KPMG learning department provides detailed supportive training throughout your first year. Definitely how diverse, varied and fast paced it is. There is something for everyone. In the past year, I have worked on over 100 different entities across fifteen or more different industries which has allowed me to learn so much. The team is fun to be in. Everyone is collaborative and committed to delivering the very best for our clients and there is definitely a culture of excellence. I have made some very good friends in the team and genuinely enjoy going to work and being surrounded by the people in my team. As a new graduate, you will be aligned to one of our many different areas within Tax. Find out more about the different tax groups below. If you have a particular preference, don’t forget to mention this on your application form. Corporate Tax professionals advise clients on how to execute their business strategies in an increasingly complex tax environment. The Indirect Tax team provides advice to clients on GST and a range of State taxes – including land taxes (including stamp duty), payroll tax and fuel taxes and rebates. GMS assists clients with managing the key aspects of the employee/employer relationship including expatriate tax management, employment tax advisory and executive remuneration and incentive schemes. Using data, analytics and design thinking techniques, KPMG’s Leadership, Performance & Reward team develops innovative and creative solutions that drive engagement, retention and higher performance across an organisation. Global Transfer Pricing Services advise clients on how to operate across national borders. They ensure clients can accurately and efficiently calculate, and demonstrate, their tax obligations across multiple tax jurisdictions. KPMG’s International Tax professionals help organisations find international tax opportunities and avoid pitfalls. They advise Australian corporations and funds on the most tax-effective approach on the establishment of new investments in foreign markets, the location of regional holding companies and disposal of foreign assets. R&D represents a significant investment by many clients looking to innovate, to drive greater efficiency in the delivery of their products and services or respond to changing markets and changing needs of their customers. Our R&D practice helps clients identify and access R&D tax credits, grants and incentives. Our Deal Advisory Tax group offers a range of tax services to corporate and private equity investors to help with local and cross-border transactions. 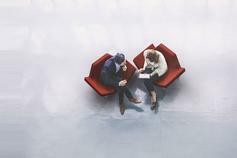 KPMG’s Tax Technology & Innovation team develops solutions that help tax leaders and their departments respond quickly to regulatory change, reduce costs, facilitate streamlined processes, transform data into broader commercial insight and enable effective collaboration across the tax department and beyond. The Tax Compliance – Delivery & Data Excellence service is specifically designed to help our clients achieve cost-efficiencies and gain better process control and visibility of their tax compliance activities.